The churches together in Pudsey did a silent walk of witness today. 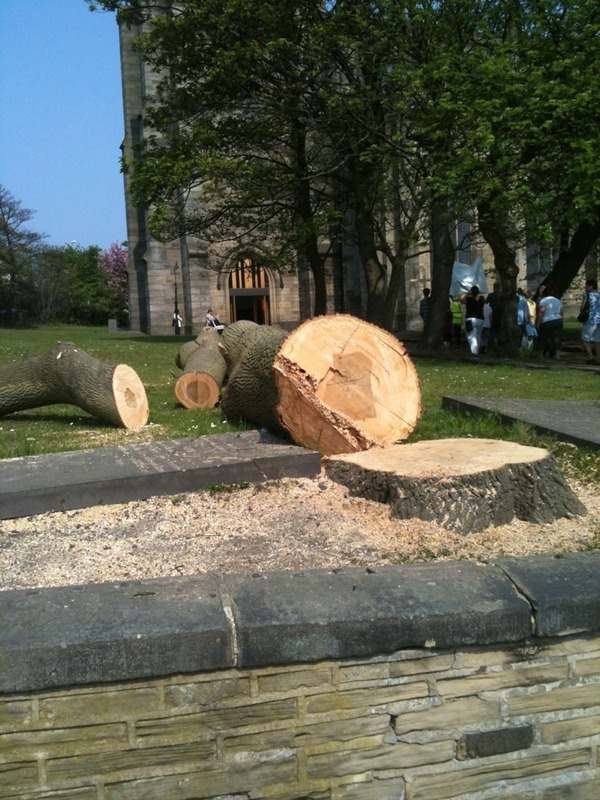 As we rounded the final bend and approached St Lawrence Church, we walked past this felled tree. To me it was an arresting sight. It brought home the reality of the cross. I realised that the cross Jesus hung on was indeed a tree. It wouldn’t have been carefully hewn. It would have been a rough tree trunk like this.